Send an e-mail to our Support team! 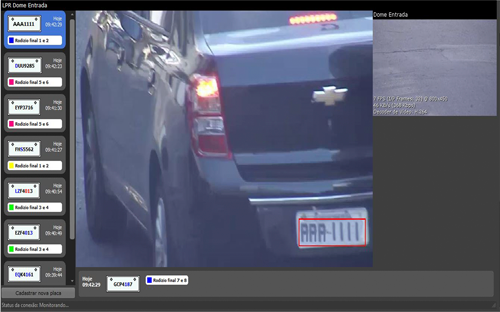 The Digifort LPR can be used on highways, streets, parking lots, shopping malls, businesses, or anywhere that requires identification of the automobile license plate. 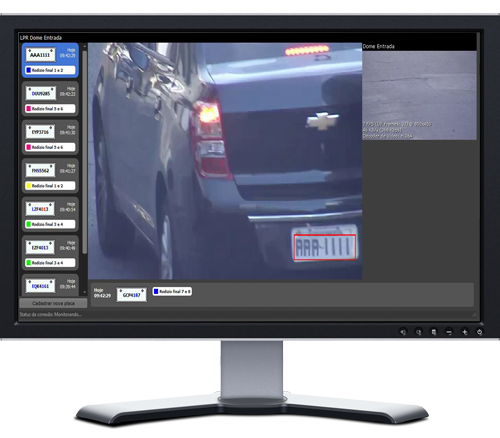 It is an intelligent module that, using Optical Character Recognition (OCR) features for automatic character recognition, identifies vehicle license plates and stores them in a database for immediate or future searches, allowing them to be associated with any necessary event, Generate alarms or automate the environment. Possibility to determine which vehicles are authorized or not to enter an environment, open gates and gates automatically, applying traffic restrictions (stolen car, overdue IPVA, unpaid fines, among others), issuing alerts, enabling vehicle seizure, surrender of the vehicles. Passengers or any other measure deemed necessary. It is important to note that Digifort's responsibility lies solely and exclusively in the operation and operation of the software. All infrastructure is the responsibility of the integrator or customer, so it is necessary that the integrator or the client have a good knowledge of the process.